Information On The Mövenpick Hotel! Morocco is the most preferred and loved holiday destination known globally. All the cities here are beautiful and worth a visit. One such city is Tangier, where you can find immense serene spots. 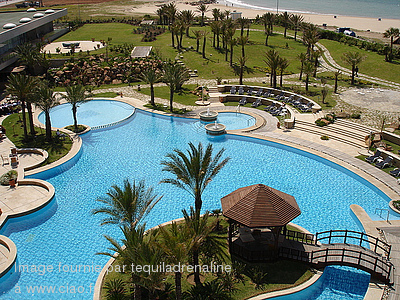 Movenpick is a five star hotel located in the prime spot of Tangier. This hotel is another reason, why one should visit Tangier. It has unique architecture and the rooms offer you stunning views of Malabata Bay and strait of Gibraltar. Movenpick hotel is located just 15 kilometers away from the Spanish coast. It takes 20 minutes to reach the hotel from the International airport. Movenpick has the finest location, as it is situated close to the Atlantic Ocean and the Mediterranean Sea. 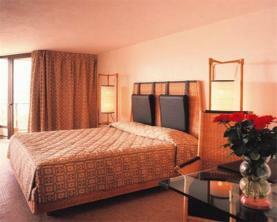 The hotel is loved for its marvelous ambience and well furnished rooms. It offers you 203 double bedrooms and you also get to choose from the 14 deluxe rooms, and 18 executive rooms with presidential suites. All the rooms at Movenpick hotel are well designed and equipped with latest amenities. The restaurant located in the hotel premises itself offers pleasant ambience to dine. You have a choice to select from a range of delectable food. You can gorge on Moroccan traditional dishes along with international dishes. The Movenpick restaurant is popular for its ice cream preparations. To munch on snacks the entire day, you can visit the coffee shop that overlooks the pool. Apart from the range of hotel facilities, Movenpick also takes care of your entertainment. If you are in a mood to swing to some soft music, visit the Piano and Lobby bar to spend some light moments. 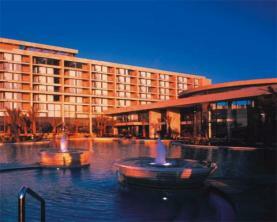 The hotel has a complete package bonanza both for the leisure and business travelers. It is surely a must visit for its amazing location and luxurious services.